Gaucho is a name that needs little introduction. With a string of steakhouses throughout London, it is famous for it’s brand of grass-fed Argentinian cows which are left to roam freely over the fertile lands of the Pampas. The beef is then shipped chilled to the UK and is never frozen. Of interest to the diner is that Gaucho also offers a reasonably priced lunch menu (2 courses – £23, 3 courses – £26), a cigar menu, a selection of fine Argentinian wines as well as a take out service. I headed to the Gaucho branch on Charlotte Street which is slick and shiny with black floors, black walls and chandeliers. Gaucho Charlotte Street has a clubby feel and a prevalence of moo-cow seat covers which are quite strong on the eye. There are also lots of circular booths for big groups. The restaurant has been designed so that diners can sit comfortably and really enjoy themselves. The meal begins with a bit of theatre – the presentation of the meat board which showcases four key different cuts, these being the rump, sirloin, rib-eye and fillet, as well as the churrasco de lomo (more on this later). There’s a good range of cuts of steaks on the menu as well as varying sizes. We headed down the seafood route for our starters, trying the ceviche sampler which consisted of three different types of ceviche – shrimp with roasted tomato, pepper sauce, onion and coriander; black scallop with squid ink, chilli and lime; and sea trout ceviche with pink grapefruit, fennel and tiger’s milk (£16.50). 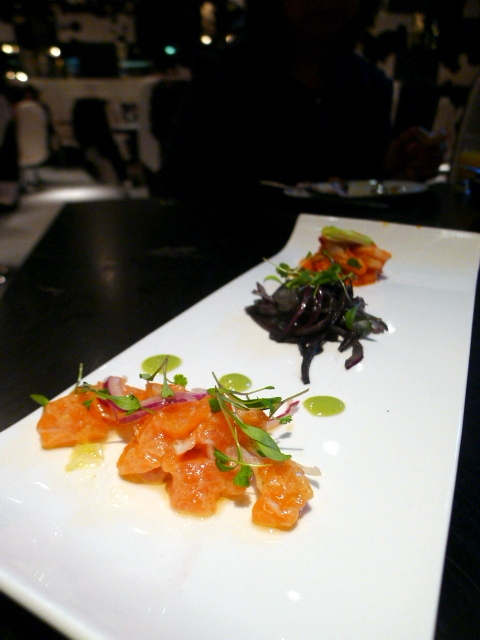 They were all very fresh and tasty, and all paired well with their various flavour combinations. This was a nice plate of food with a touch more acidity being the only thing that was needed. Another starter of pan-seared scallops with a watercress purée, smoked pancetta and confit red peppers (£17.50) was also enjoyable. 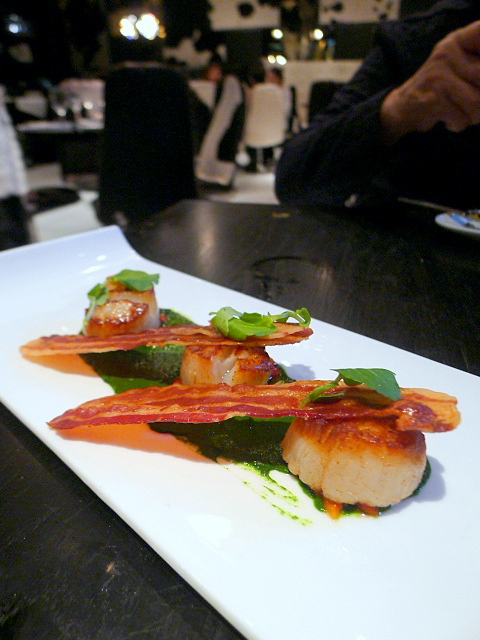 The scallops were very nicely cooked with an opaque centre, and the crispy pancetta was a welcome addition to the plate. And now to the star of the show, the steaks. 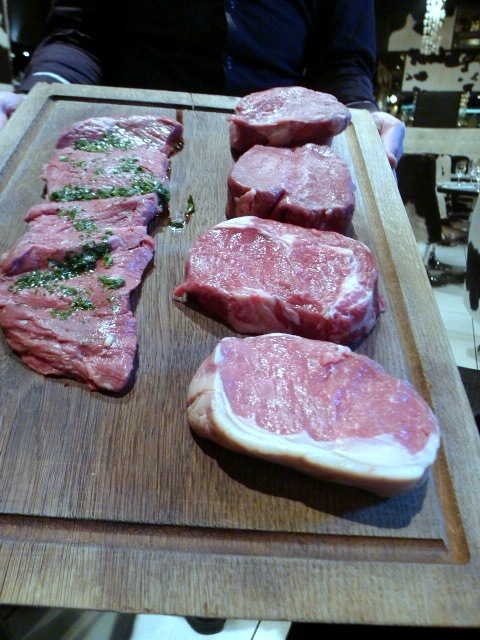 There are four key different cuts on offer, these being the rump, sirloin, rib-eye and fillet. We tried the bife de ancho rib-eye (300g – £24.95), and at the waiter’s suggestion, the churrasco de lomo (400g – £47.95), a spiral cut piece of fillet, marinated for 48 hours in garlic, parsley and olive oil. Both pieces of meat were delicious and of an outstanding quality. We requested medium rare, and the steaks were perfectly cooked although the lomo was a touch over seasoned. It was very difficult to pick a favourite between the two for I enjoyed both cuts equally. The rib-eye won me over with its fatty marbling which added great flavour to the meat, and the lomo for its incredible tenderness and intense flavour. If it were to come down to price, then at £24.95 the rib-eye would have been the winner. It was pretty good value given the quality of the beef and when you compare it to what other steakhouses in London charge for rib-eye of this standard. We tried various sides including potato saltenas (£4.95), French beans with spinach, garlic and tomatoes (£4.95) and roasted butternut squash, beetroot and carrot (£4.95). All were pleasantly done, particularly the potatoes which had been braised in milk, deep-fried and served with a spicy tomato sauce and white aioli. The tomato sauce was bland, but the potatoes themselves were excellent as they were extremely crunchy which made them a joy to eat. In fact they were so good they didn’t need a sauce at all. We adored the desserts. 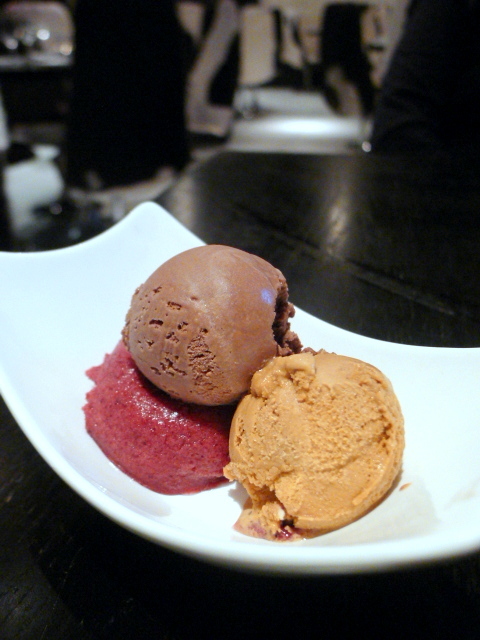 The assortment of Argentine ice creams and sorbets that we tried were excellent (3 scoops – £7.50) with the chocolate and the dulce de leche ice creams proving wonderfully creamy, and a Malbec grape sorbet being refreshing and sweet. 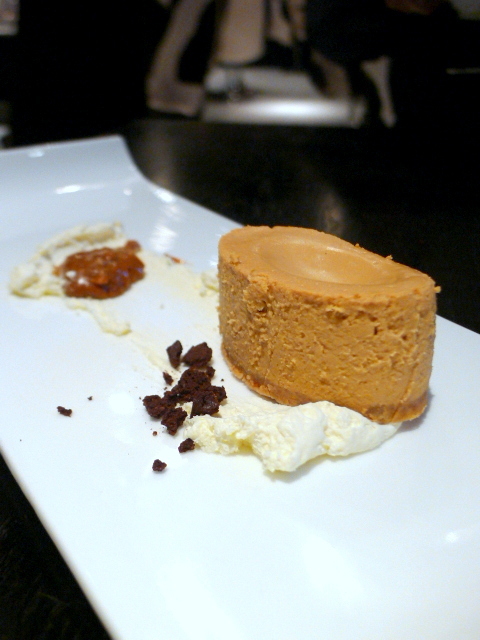 A salted dulce de leche cheesecake (£9.25) also went down a treat. It was incredibly light in texture and beautiful to eat with its silky smoothness. Also really yummy was the chocolate and raspberry alfajores (£8.50), a milk chocolate and raspberry parfait cake which was rich and creamy and served with soft Italian meringue and crushed sweet raspberries. And now a word on the service. We had a lovely waiter, Carlos from Porto, who took great care of us. Granted, we were having a late lunch on a Monday afternoon so the restaurant was rather quiet with barely any other diners and not too much atmosphere to speak off. But despite this, his sincerity and desire to look after us was really heartfelt, so I have nothing but positive things to say about Carlos. 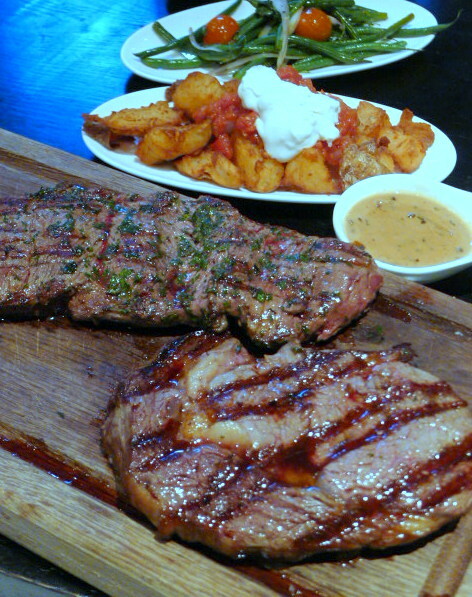 The steaks at Gaucho are unquestionably excellent, and there’s a good array of options to suit every palate. It’s also a steakhouse where you can be assured of a certain quality of steak no matter which branch you walk into. 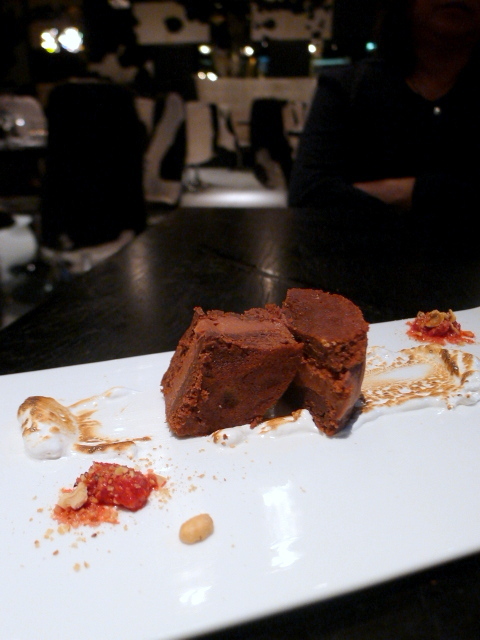 When you factor in the respectable starters and sides, and the lusciously good desserts, then Gaucho is definitely a place I think about heading to when I have an itch for some steak. Prices: About £32 to £100 for three courses, excludes drinks and service. This place looks absolutely amazing! Particularly the main courses.